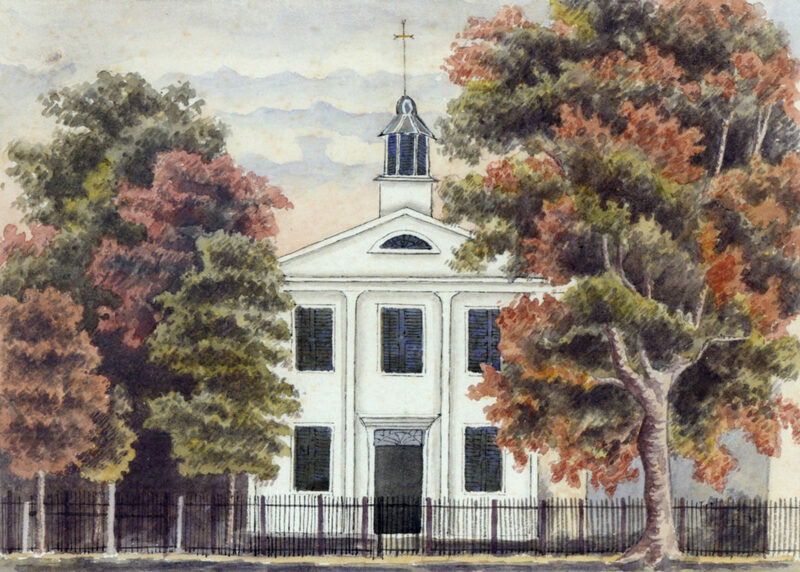 The Litchfield Female Academy enrolled more than 3,000 students over a forty-one year period from seventeen states and territories as well as Canada and the West Indies. This new exhibit explores the innovative educational philosophy of the school’s founder, Sarah Pierce and her school’s impact on her students and women’s education. Her curriculum was driven by the post-revolutionary rhetoric of Republican Motherhood, which stressed the responsibility of women to provide the early intellectual and moral training of their children. She deeply believed in the intellectual equality of the sexes, and her students learned practical subjects, such as mathematics, geology, and astronomy, as well as ornamental lessons of painting, sewing, and music. The proximity of the Litchfield Law School, where nearly 1,000 young men would learn to be leaders in politics, education, and other spheres made for a lively social and intellectual community and created a vast social network for students to access throughout their lives. The young women and men who studied with Pierce became reformers, leaders, and teachers who worked to improve women’s education and society as a whole. Items from the Litchfield Historical Society’s extensive collection of artifacts and archives from the Litchfield Female Academy will be on display, as well as several decorative arts pieces on loan from regional institutions. Visit our Calendar of Events for programs related to the exhibit! To learn more about the students who attended the Female Academy, visit our online database The Ledger. This exhibit is made possible by CT Humanities.